It was only a matter of time before the Santa Pikachu was let out of the bag. After all the rumors this past month, Niantic has finally made good on the Pokemon Go holiday event we all knew was going to happen at some point. It's just happening a little later than we initially thought it would. During the event, which began on December 30th and runs through January 8th, the encounter rate of Pokemon like Bulbasaur, Squirtle and Charmander and their various evolutions. So if you're still missing one of those Pokemon, this should be an exciting time for you. You'll also be able to use Lure Modules much longer, as they've been extended to 60 minutes' worth of usage instead of 30. You can attract all the wild Pokemon to your location this way. 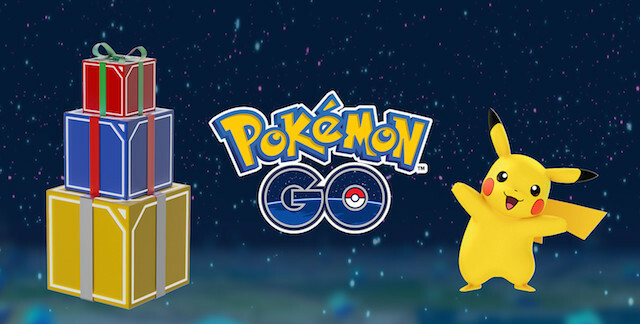 Aside from additional Pokemon spawns, from December 30th through January 3rd players can buy special Bronze, Silver, and Gold Boxes via the in-game store which contain Lucky Eggs, Poke Balls, Great Balls, Lure Modules, and Incense as special prizes at random. This all goes along with the current promotion going on where you might find Pikachus wearing Santa hats, new Pokemon Eggs, and a free Incubator every time you visit a new Poke Stop every day. It's a great big holiday celebration, and if you love Pokemon Go, it's definitely worth jumping into! Hopefully this is just the beginning for Niantic and there's a whole new deluge of content for 2017 planned.